Want to play paintball for less? Want to help the local community? 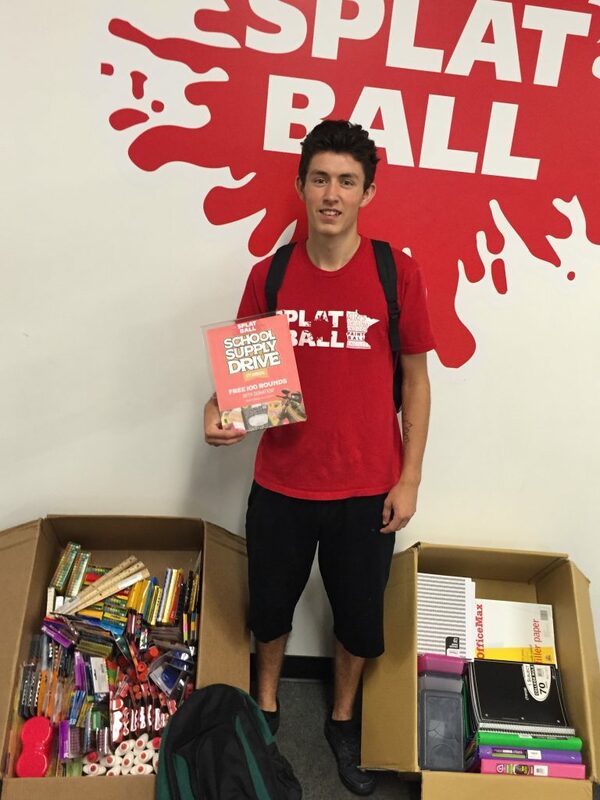 Donate 3 (unopened) school supplies for free paintballs at Splatball indoor paintball! Join us for our 4th Annual School Supply Drive. 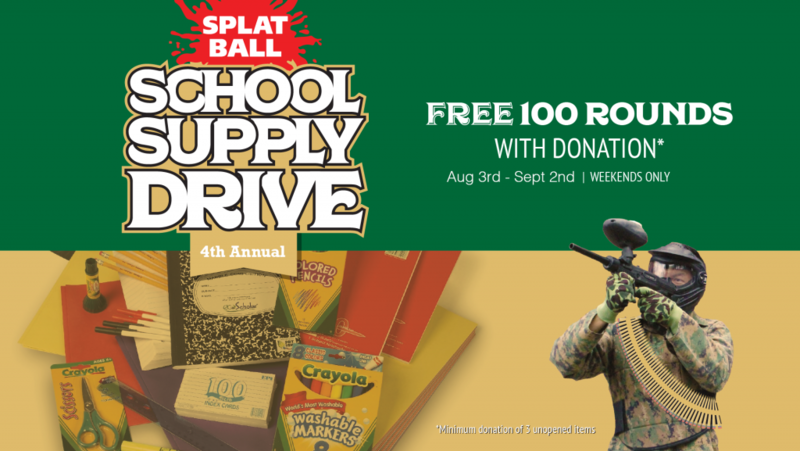 With the help of paintballminnesota.com we will be gathering donations to benefit the Minneapolis School District! Last year we donated a total of 300 items! Help us break our goal of 500 items this year! 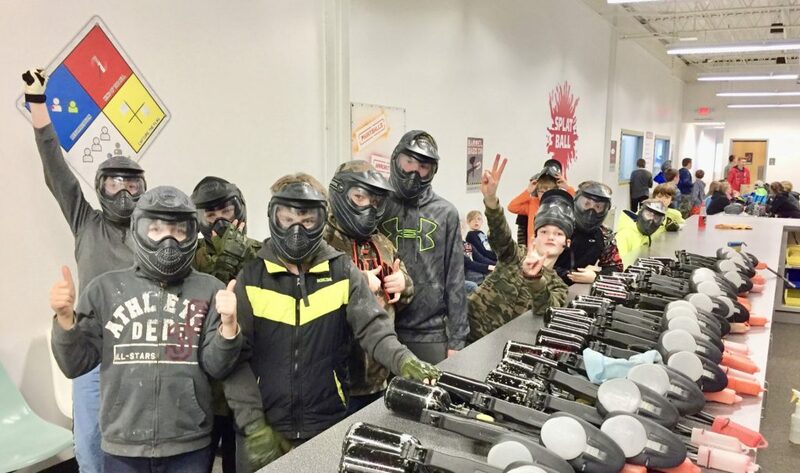 Just book a regular paintball group or walk-in and bring your donation to the check in station! You’ll receive a smile and 100 paintballs! From August 3rd to September 2nd we will be offering 100 paintballs to any player(s) that donates 3 unopened/ unused school supplies! But of course you can always donate more! 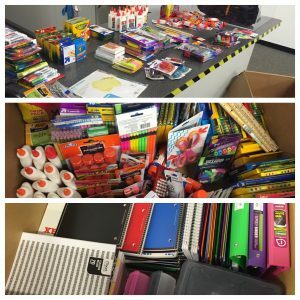 All school supplies will be donated to the Minneapolis School District for students, faculty and families to use this academic year! Donate and play low impact paintball for less at Minnesota’s original paintball center! *Offer may still be used in combination with the discount package when booking online. May not be combined with any other coupon, special or promotion. Limit 1 (one) – 100 round bag per player donation. Don’t know what type of school supplies the public needs? Not a problem! Review the MPLS K-12 checklist here!